SuiteWorld19 took an unusually emotional turn when Cathy Patenaude was guided to the stage at the opening keynote. Pateneaude, who years ago contracted CML leukemia and subsequently lost her sight, depends on the American Cancer Society’s Road to Recovery program, which helps transport her to treatment appointments in Las Vegas. Patenaude made an emotional appeal from the NetSuite stage in her home city to support the American Cancer Society, which offers far more than just research grants and car rides. American Cancer Society, a NetSuite customer, was founded almost 100 years ago by a group of 10 doctors and 5 laypeople in New York City. Back then – cancer was not openly talked about, and almost certainly meant a death sentence for a patient. The initial goal was to simply raise public awareness around the disease to promote waging the war on cancer. Since then, this goal has grown to attack cancer from every angle. Cancer has an affect on everyone’s lives at some point in time, so American Cancer has dedicated themselves to research, prevention, support and lawmaking around fighting the deadly disease. While research is left to the experts at ACS, everyone can actively participate in the fight against cancer prevention. So when Patenaude reached out in request for the help of the audience, NetSuite and SuiteWorld attendees answered that call. NetSuite promised to donate $ 10,000 to the American Cancer Society if attendees signed 2,000 personal pledges to help in the fight against cancer. All week, attendees flocked to the American Cancer Society booth on the exhibit hall floor, pledging to “Eat Healthy,” “Not Smoke Tobacco,” “Exercise,” “Wear Sunscreen” and more. In addition to raising funds for the incredible organization, the hope is that this exercise helped people think more proactively around what they can do in their daily lives to prevent cancer. By the final day of the conference, attendees had more than met the challenge and NetSuite made good on its donation, following through on a proud history of donating to nonprofits as part of the conference. Past recipients have included Alex’s Lemonade Stand and Stop Hunger Now. Everyone has a budget for a technology project, but it often doesn’t account for everything that’s needed for a successful implementation. Lots of organizations have the “Get it done NOW!” mentality which causes everyone to rush the process and set unrealistic expectations about what’s actually needed for success. Look at the total impact of your project and account for everyone’s time and cost. Be as honest as possible with yourself about how much of your resources’ time you can commit. If you plan for the team to give 50 percent of their time but you only get 25 percent, you will have some fairly large delays. To avoid this, be aware of and honest about your company’s experience. If your SI is a good one, they should be asking thorough questions at the beginning of the project so you are aligned on resources, skillsets and budget. They can help you build out an “all in” budget that covers every piece that will need to happen during the implementation, as well as what’s realistic for operating and maintaining the technology after the go-live. Avoiding change can manifest itself in several ways, but customization is a common one. I’ve seen companies try to minimize change so much that they demand a lot of customizations of the new product and by the end, they’ve customized themselves right back into the constraints of their legacy systems. Change is inevitable, so lead your team to crawl, walk and then run throughout each piece of the project so they can adapt and maximize the use of the new technology. Also, don’t introduce change too late in the game: Change becomes more expensive the further you get into the project. If there needs to be a change in your project, don’t avoid it. Bring it up to your SI as soon as possible; there may still be costs associated with it, but the costs will be lower than waiting until later. Be very honest about which data you actually need. Your first instinct might be to move over everything. But if you take a look at what you actually need, the reality could be a fraction of that. Organizations rarely use most of the data after it’s moved, so being honest about what’s actually needed will save a lot of project/services time and give you much better value-add. When it comes to integrations, be aware of what you need now and what you need in the near future. If you have something you want to change eventually, don’t spend time and money integrating to a tool that will soon end up in the garbage anyway. Take a hard look at your roadmap and challenge your teams to avoid throw-away work. Also, be thoughtful about what you integrate; companies that tend to hook up everything don’t get much value from integrating older tools. They would’ve been better off retaining access to those tools than spending budget on a lot of heavy lifting for an integration that doesn’t provide much use. This goes for the people on your team and the people on your SI team. For the SI side, take a good look at their deep technical skills but don’t downplay the culture. If you have culture differences, those can cause more conflicts than you may realize. In addition, the SI’s sales and delivery teams should feel aligned; if the salespeople sound very different from the delivery people (if the salesperson will even let you talk with the delivery folks), that’s a red flag. But if the SI presents itself with one goal and appears to work together, then alignment will likely continue through their engagement with you. For your team, don’t wait until the last minute to engage the end users. Involving the field teams or stores teams is imperative for a technology implementation. They should understand what you’re trying to do and why, and be allowed to give input on it. If not, you risk building something that doesn’t actually support the work, responsibilities or expectations of the people who are accountable for using it. If you want IT to be self-sufficient a month after the go-live, but they’re not involved until the last 30 days, then you jeopardize the entire project (even with the best implementation). NetSuite provides top-notch training, so take advantage of it. They have the proper approach of training people before the project starts and they provide good license costing; they have two built-in releases per year, so you don’t have any surprising license cost increases. The mistakes I’ve outlined here can happen to any organization, but they’re more likely to occur when planning is rushed or when unrealistic expectations are set. Don’t set yourself up for hardship before the project even begins! A good SI will help guide you and ask the tough questions, but you know your team’s skills and capacity the best: Take the time to do thorough planning and set honest expectations of your time and effort. 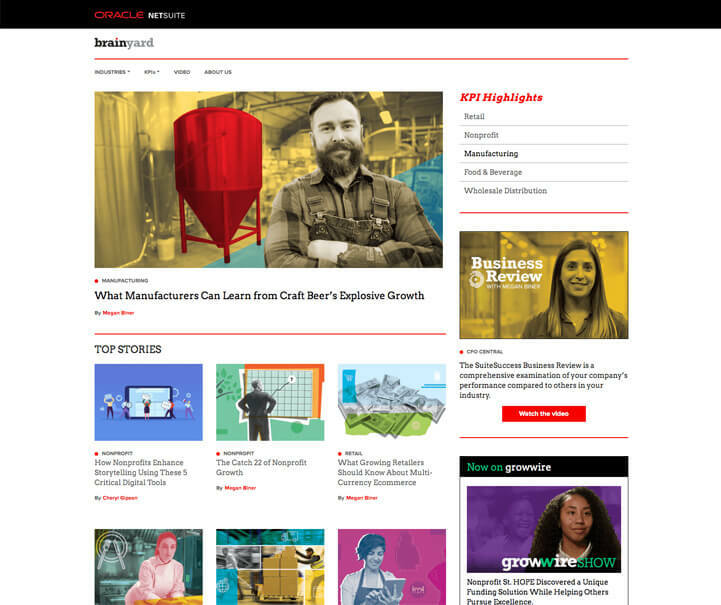 SuiteWorld 2019—LAS VEGAS, Nev.—April 3, 2019—Oracle NetSuite is launching a new business research and benchmarking service that changes the way the technology industry shares insights and knowledge. Unlike expensive services provided by research firms or traditional vendor models that are built on proprietary data, NetSuite Brainyard is a free resource that gives everyone across the technology ecosystem equal access to the research, data and practical advice needed to grow and run a business. Brainyard is available today at NetSuite.com/Brainyard. The preceding is intended to outline our general product direction. It is intended for information purposes only, and may not be incorporated into any contract. It is not a commitment to deliver any material, code, or functionality, and should not be relied upon in making purchasing decisions. The development, release and timing of any features or functionality described for Oracle’s products remains at the sole discretion of Oracle. 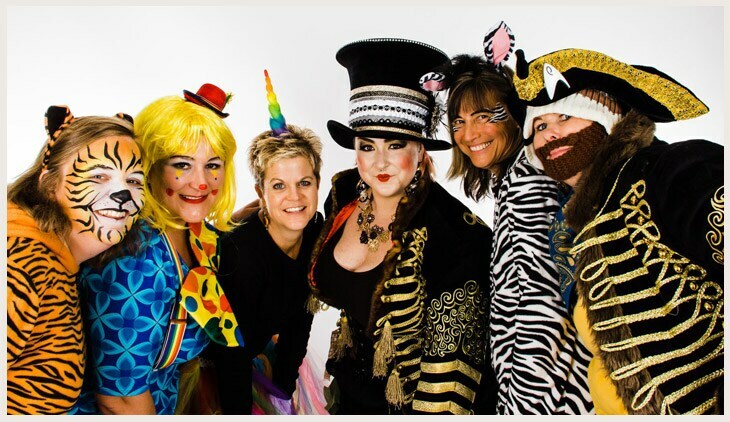 SUITEWORLD 2019, LAS VEGAS, Nev.—April 3, 2019—elope, Inc., a fun-filled costume company, is using Oracle NetSuite to share its love of laughter and style with the world. With NetSuite, elope has been able to support rapidly growing demand, stay ahead of increasing competition and make more people laugh with its costumes by taking advantage of an integrated business platform to expand into new markets and further personalize the customer experience. Founded in 1993 by two brothers selling hats at a mall kiosk in Colorado Springs, elope has rapidly grown and now designs, manufactures and distributes nearly 1,500 costumes and accessories across the U.S. and Canada. To meet growing demand for its uniquely designed costumes and accessories, while monitoring every step of the production process to ensure the highest possible quality and most sustainable business practices, elope needed to replace its existing Sage system. After careful evaluation, elope selected NetSuite to meet these demands and deliver fantastical service, with clear, cheerful communication and accurate shipments, to its growing customer base. With NetSuite, elope has increased visibility and control across every aspect of its operations as its B2C business has grown by 40 percent year-over-year in the last two years. By consolidating existing systems, automating manual processes and enhancing reporting, elope has been able to stay ahead of increasing competition and changing market demands through real-time visibility into design, manufacturing and distribution processes. In addition, with increased visibility into its inventory, elope has been able to deliver better recommendations to more customers by identifying buying trends during peak times, like Halloween, to ensure a truly personalized service and costume availability. elope is dedicated to a vision of global happiness: e.l.o.p.e—everybody’s laughing on planet earth. We create and distribute costume accessories and whimsical wearables through fantastical service while embracing socially responsible business practices. For the American Cancer Society, that True North is to “save lives, celebrate lives and lead the fight for a world without cancer,” said Rob King, CFO of the 105-year old organization. Distributing $ 4.8 billion in cancer research over the last 70 years, the organization’s breadth is in fact much broader, including physician guidelines, early prevention programs, a hope lodge program that houses patients receiving treatment and a transportation program that helps them get there. Overcoming the challenges that come with running a fast-growing business takes visibility, control, agility, productivity and collaboration, Goldberg said, the five attributes that are the blueprint for growth. Indeed, NetSuite’s own journey has gone from a five-minute phone call between Goldberg and Oracle founder Larry Ellison, to an IPO, through a couple economic downturns to its eventual acquisition by Oracle. Goldberg recounted at one point early on, he was reviewing user message boards when one customer wrote, the day before Christmas Eve, that his website was down and he was going to lose out on a lot of business. With just a handful of employees, Goldberg was able to get it fixed by 10 p.m. When Kelly Leonard, executive director of The Second City, first joined The Second City, the famed Chicago improv troupe, he was a dishwasher, Jon Favreau had just joined the company, Bonnie Hunt was on the resident stage and Chris Farley was in the touring group. And the accounting was Aunt Annie. “That wasn’t a platform, that was someone’s aunt,” Leonard deadpanned. Now, The Second City has expanded its business model to include improv training at outside organizations to boost innovation and collaboration and leadership. It also recently implemented NetSuite. Adding new business models are just one lever for growth, but one that NetSuite is uniquely positioned to help with, Goldberg said. Features like support for the new lease accounting standards, a reallocation engine, the Oracle Bronto commerce marketing solution and SuiteBilling let customers add or adapt new business models. For example, NetSuite customer Roku has gone from delivering streaming hardware for cord cutters everywhere, to a streaming service that offers a one-stop shop service that manages a customer’s streaming subscriptions. Another lever for growth is global expansion. Since 2016, NetSuite has added operations in 21 new countries and now has customers in 212 countries and independent territories. It has also added 20,000 new international subsidiaries. Learn more about NetSuite’s added global features and new localizations. But growth also brings additional challenges. When Shawn Assad joined VICE as the chief accounting officer, the company was feeling the growing pains of expanding into 13 countries providing content across video, social, mobile channels and a magazine. Assad said he had to challenge some internal assumptions in helping to reconfigure the organization and be careful not to design roles around the wrong people and instead hire the right people. NetSuite has helped with the latest step in VICE’s journey to its True North, to be a preeminent media company and content creation studio. SuiteWorld19 continues this week in Las Vegas. Follow along on Twitter at #SuiteWorld19 and @NetSuite. As a pioneer in cloud business management solutions, NetSuite ensures that its customers benefit from its products and innovation quickly and seamlessly. As a SaaS application, the changes are incremental and regular, integrating new and improved features and ensuring that customers can easily consume and benefit from them. There is rigorous testing to make sure everything works as it should, with a constant feedback loop from global customers about what they would like to see next. With more than 16,000 global customers, it is important that everything works as expected. The product improvements are useful only if customers know about them and have a clear understanding of not just what changed but also the impact of those changes. With comprehensive documentation, training, testing and communication, including the exact date and time of each upgrade, customers are knowledgeable and well prepared to benefit from every release. With an average upgrade time of less than an hour, NetSuite customers get regular and seamless upgrades to their software at no cost and without causing any disruption to their business. The SuiteAnalytics Workbook leverages a new user interface and new analytics capabilities and is designed so that even inexperienced users can perform complex data analytics tasks quickly and easily. With the new SuiteAnalytics Workbook, everyone in your organization can be a power analyst with self-service business intelligence enabling them to discover insights, take action and accelerate business success. Easily manage complex domestic and global tax calculations with new SuiteTax and VAT capabilities. Gain compliance with new lease accounting standards ASC 842/IFRS 16. Control spend with book specific budgets and new approval workflows for bills and vendor payments. Manage payments efficiently with new installment terms on bills and invoices. Improve period close with enhanced Multi-Book Accounting features. Increase productivity, simplify processes and improve cost modeling with multiple manufacturing enhancements. Simplify work order reporting with MES tablet application support for all work order types. Operate Quality Management tablet app across global facilities with all NetSuite supported languages. Improved support for multi-subsidiary businesses providing customers the ability to quickly act on the information they receive with Supply Chain Snapshot enhancements. Generate more new business, improve productivity and manage project pipeline through Project Creation from Opportunities and Estimates. Enhanced Global Project support for employee Foreign Currency Expense report reimbursement. Faster assignment of project teams with Resource Groups and other resource management enhancements. Improved time entry compliance with enhanced Missing Timesheet Reporting. Manage all project billing easily, quickly and in one place with Purchase Charge Rule. Enhance and evolve SuiteCommerce web store with many new extensions including new feature categories, product feeds, size charts and best sellers. Maximize sales potential and optimize profitability with dynamic customer groups and targeted promotions. Gain deeper engagement levels with your customers with contact specific B2B cart functionality. Gain from consistent and standardized ways to manage employee lifecycle from hire to rehire with Employee Status Categories. Benefit from more flexibility in classifying labor-intensive industry workforce with Employee Type Categories and support for Hourly Time-Off Accruals. Ensure additional security of sensitive HR and employee data with Core Administration Permission and Employee Access Permission features. Get more control and flexibility with Payroll enhancements. Ensure international document exchange compliance with Digital Signing API. Improve and strengthen security with support for mutual HTTPS authentication and 2FA for highly privileged roles. Easily transfer a Custom Object from one NetSuite account to another using new Copy to Account (beta). Build extensive, productive and visually attractive Workbook experiences on the platform with Query API. Enjoy the exciting new release! 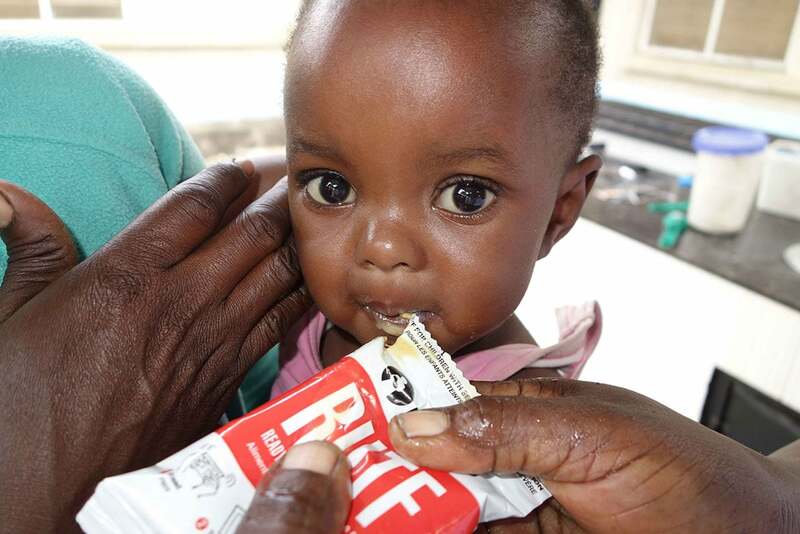 SUITEWORLD 2019, LAS VEGAS, Nev.—April 3, 2019—MANA Nutrition, a nonprofit producer of ready-to-use therapeutic food (RUTF), is using Oracle NetSuite to support its mission to end severe acute malnutrition (SAM) across the globe. With NetSuite, MANA has been able to focus time and resources on the fight to end malnutrition by reducing manufacturing costs, increasing supply chain efficiency and gaining a single view into financial data across its growing organization. Imagine if you had watched them spin a can’t-miss idea into a household name, seeing every stumble and misstep along with every triumph, as they grew into an employment machine, stomping their footprints around the globe, shaking loose of new ankle-biting competitors. Imagine if you’d seen them move from shoeboxes filled with receipts or wrestle with ledgers tucked into spreadsheets to their first, full-blown financial system, their first real business process now automated and endless possibilities ahead. You’d have a veritable treasure trove of data and insights to help the next 16,000 in the decades ahead. You’d have the blueprints for success, for how to grow just about any business in any industry. You’d probably even be crazy to give those blueprints away. But that’s just what NetSuite is doing. At SuiteWorld19, NetSuite is launching Brainyard, a website that unlocks the collective wisdom it’s gained from having that front-row seat. What you’ll see on Brainyard is research, benchmarks and the analysis of both. There will be a full research calendar across each vertical industry, which will turn into “state-of” style reports. Those reports will also be used to craft other deep-dive content. Some of this is the very research that has helped to evolve the NetSuite product. One of the common requests from business leaders is that they want to know how other companies like them are performing. They want to benchmark various aspects of their operations and performance. NetSuite has vast amounts of data at its disposal, some of it qualitative, based on the experience of industry experts, and much of it quantitative, including performance data from Finlistics, an analytics firm. NetSuite has built resource pages for critical KPIs across 12 vertical industries, and there’s more where that came from. Brainyard will not only analyze the research and the benchmark data, it will also provide prescriptive advice. In fact, the site will feature content primarily from NetSuite industry principles and extended roster of subject matter experts. The data won’t simply be thrown at you either. Understanding what good Days Sales Outstanding (DSO) looks like in a given industry might be interesting, but Brainyard will tell you some of the other KPIs that influence a good DSO metric, like invoice cycle time and accounts receivable FTE/$ 100m in revenue, and what good values look like for those metrics. If you like to nerd out on inventory turns and fill rate and DSO, or you want to understand how consumers view brick-and-mortar stores in an e-commerce era, or new ways that nonprofits are thinking about social accounting, Brainyard is your jam. It will deliver all of this not only in articles, but in infographics, research reports and videos—again, featuring NetSuite industry principles. NetSuite is giving this knowledge away because it’s not just about selling software. NetSuite knows that every business journey is different, and wants to help your business grow.